fun – what will you do now? I don’t know if this counts as interactive fiction. It is classified under webtoys in Jayisgames and is part resource management, part roguelike, even part flash game. The premise is simple: you start in a dark room, and all you can do, for a while, is light and stoke a fire. After a while, though, NPCs who will do various tasks for you enter the scene. Some will build structures for; others will gather wood- it’s up to you… You get to build a village of your own, with villagers arriving from around the woods, and you build up resources by allocating different numbers of villagers to different roles. This game is not a passive text-based game. Spontaneous/random events pop up occasionally; in the rogue-like segment of the game, the PC gets to explore a monster-ridden, almost barren world. There is combat! Monsters! Villages to build! A whole world to explore! All oddly satisfying. A Dark Room creates a quietly foreboding atmosphere through its bare-bones descriptions. And though the PC builds a village, there is no real sense of interaction with characters: it is all really role assignment. Depending on how you see it, it can either be dry and alienating, or rather foreboding. Combat can be frustrating as your weapon choice is limited by a ‘cooldown period’, in which a certain amount of time must pass before you can use the same weapon again. A Dark Room, however, has a coherent storyline, satisfying gameplay (for me, at least, because… well, hoarding!) and a very handy save feature, which made up for its awkward bugs. EDIT: Those who enjoy the game are encouraged to try the mobile version. The user interface is very different, but very well-designed. I am led to believe that there are also more endings and more story in the mobile version. You need to write your one thousand words. You need to write it NOW. But there’s so much to be distracted by! Fear not: with Violet, or at least your imaginary manifestation of her, you will overcome! Somehow. The conversational style of writing is everywhere, even in the hints system, evidence of the thought put into this game. This game is rich in detail, as many objects are implemented and re-examining things often produces a fresh tidbit. Violet is technically well written too, providing commands such as “FIX” to save the player the hassle of figuring out how to break down complex actions into parser-approved commands. This game should strike a chord with most, with its tongue-in-cheek treatment of procrastination and the things we do to fend it off. Smoke and divots and scorching and stinky brimstone – there’s only one thing this could mean. There has been demons in your garden. So begins this tale of a God-fearing parish worker whose dog has disappeared. Armed with a motley crew of, uh, vegetables and one puppy, he ventures deep into the depths of Hell. He has to battle various trials and tribulations to get his dog back. While the premise of the game is rather linear, the puzzles are all fairly straightforward and stand alone. In case you don’t get it, location-based walkthroughs are also available. Some of the puzzles require a small amount of lateral thinking and most will make you smile and go, “Oh, right!”. Although it is possible to die in the middle of the game, abundant contextual hints are provided and it is always possible to undo the mistake. Special mention should go to the endgame, which is brilliant when you realise what the answer was. There is also some characterisation near the endgame, which provides some background to an otherwise colourless PC and pathos to an otherwise light game. Of course, if you wanted to go deeper, we could talk about how this game reflects human nature and about temptation and the role of the morally upright hero, but the conversational tone of the game makes that rather out of place. The way it stuck closely to its theme throughout, even in the hint system, gave it a sense of continuity. In short, a technically well-constructed game suitable for an entertaining afternoon. You are a servant girl in Madam Spider’s subtly terrifying house, and you have been tasked to clean up. The house is small and self-contained, though there are a number of treats and surprises in some places. The game took me less than an hour of play. Plot: The first half of this game is mostly puzzle-based, with rather little in the way of characterisation of the major NPC, the eponymous Madam Spider. There are some creepy parts subtly implemented which did add atmosphere, but were largely ambiguous and did not do much to progress the game. After the major plot twist (which is somewhat unsurprising), it is strictly linear. There might be some metaphors going on in the game, though, which I haven’t deciphered. Mechanics: This game is definitely well-designed. Consists of a number of small, straightforward puzzles, but even the most clueless puzzler can complete the game with the adaptive hint system. Would have been more satisfying had the puzzles been more complex or more challenging, but that’s just me. I had two free-ish hours in school, so what better time for a Speed-IF? 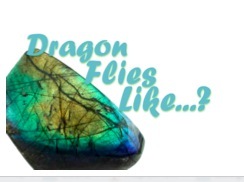 The premise: you are an adventurer, but you can’t go adventuring because you can’t find your dragonfly. The language is light-hearted, bordering on silly, and well-implemented. Plot: Straightforward with contextual hints so it’s really hard to get stuck. There is a small clever trick of switching points of view in the ending scene, too. Mechanics: Sturdy, especially since it’s a speed-IF. I found a minor bug at the last scene, though, which completely prevents the player from continuing and winning the game. A number of common commands (including ‘xyzzy’) are implemented- and amusingly, too. A lightweight, humorous game with quite simple puzzles. Good for whiling away about fifteen minutes. Join the author, Joey Jones, on his romp through a list of 10 random games, which IFDB spits out if you’re really bored. This particular selection includes one French game, one German game and one pornographic game. It’s an extremely entertaining metafictional game- a game within a game, if you like- and the author’s footnotes add a somewhat satiric hint to the sometimes badly written games. In contrast to some of the games featured, this game is, in fact, well written and implemented. No need to worry about illiterate parsers or clunky grammar! At least the author will point them out, say something to make you laugh and carry on. There’s also a helpful ‘hint’ feature to help you out if you’re stuck in one of the ‘games in the game’. by Michael J. Roberts/John Baker/John T. Baxter??? Your friend John Baker has invited you for drinking, but (as usual) he’s a no-show, so you decided to go to his house to find him. As you waited, you dozed off. Except now there’s a terrible storm outside and you have no idea where he is. So begins your quest to go find John! …Wherever he is. Not to give too much away (to the, hmm, five people who read this blog), this is a rollicking, straightforward fantasy adventure which is fairly fun. Language: Functional, but not spartan. There are, unexpectedly, some comic moments (especially for the death scenes). Plot: Uh. Straightforward. No deep life choices here, just quests and puzzles which are well-integrated into the overall story. There are a number of death scenarios. At this moment, however, I’ve died more than reached anywhere near the end of the quest. Mechanics: The main notable feature is the wonderful, extremely handy ‘undo’: unlike in most IF, where you can’t undo more than one action at a time, here you can undo pretty much as many times as you like. Whee! Anyway. Cheerful, slightly silly, fun IF to chase the blues away! “It kind of makes me angry,” I say. You are Nathaniel Walker, police detective, and you’re outside the Mindflower Asylum for the Criminally Insane so you can pick up hardened criminal Ivy Blissheart (what a name). Short and sweet, this game consists mainly of about 4 or 5 puzzles, all relatively easily solved. The details are cheeky and fun, though. The keyword system (similar to Blue Lacuna) gets a little messy in some parts, because of all the things to see and talk about, but overall I enjoyed playing this game. The switches in perspective were not confusing at all because of the distinct changes in voice. Good writing, straightforward puzzles and useful hints. Enjoyable, indeed!